In 1998, I was given the opportunity to create and teach an innovative music program from the ground up at Pinewood School in Los Altos Hills, California, and I loved it… except, of course, all the damn kids. 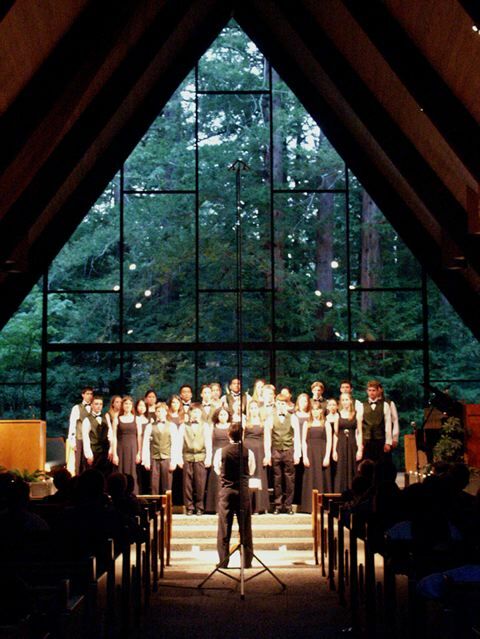 In five years, Pinewood evolved from a school with no music courses to one with a mandatory freshman music history course, an award winning choir, a recording studio that released eight full length student CD’s, and an ambitious musical theater program. I chaired the new Arts, Communication & Technology Department and coached the Varsity Boys Soccer team to its first winning record in years. I take great pride in our accomplishments, and feel privileged to have been a part of my students’ lives to this day as I keep up with their adult developments. Read what students and parents had to say about the program, hear the music we created together, and check out my unconventional course syllabi, all of which was conceived from the ground up — no standard textbooks. The Beethoven Rap… A little somethin’ I infamously recorded one afternoon for my music history class over the ’70’s disco hit A Fifth Of Beethoven. Advanced SWARM: Same Punks, More Skills! I’ve been very actively involved as a teacher through my shows, workshops, keynotes and recordings as Doctor Noize. And, in 2014, I opened my dream music production and teaching facility, Reach Studios. And I continued to preach through compositions and releases like Doctor Noize’s Phineas McBoof Crashes The Symphony with the City Of Prague Philharmonic Orchestra, opera stars Isabel Leonard and Nathan Gunn, and the entire Doctor Noize voice cast. The album is a 2-Act work of musical theatre introducing kids and newcomers to the amazing worlds of the symphony and the opera. Don’t believe the lie that fine art music is just for fogies. Great music will open your heart and blow your mind, unless you’re truly duller than the dullest dullard. And you’re not, now, are you?